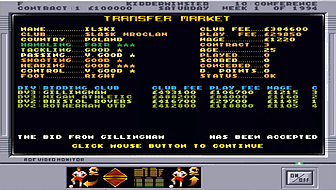 I bought my first Amiga in 1993 and one of games I bought on day-one was Premier Manager, a cracking football management game. I was instantly hooked and played it very late into that first night (or more accurately the following morning), which was unfortunate as the next day was my (first) wedding day! I will leave you to imagine how that went down. Long story short, I still have an Amiga but not a wife. But this was the pull of the game; it was hard not to be hooked by Premier Manager. 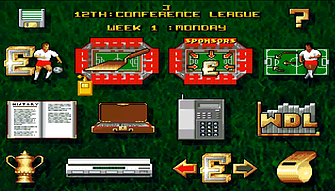 Exceptionally well presented and user friendly, the normal stuff we are now familiar with in a football management simulation was all there, but at the time it had not been seen before on the Amiga. 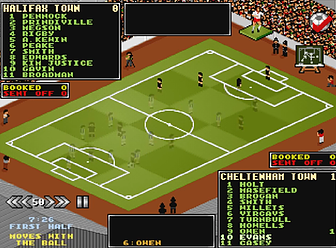 It didn’t quite have the depth of Championship Manager (on the PC), but I didn’t mind that as it gave it a more ‘pick-up and play’ feel and once you knew what you were doing you could fly through a season in an hour or two. That said, it was still pretty detailed, with more stats that you can shake a stick at and plenty of gameplay options to keep you busy. You would start in charge of a team from the (then) English fourth division. For each match you had to pick a formation, select your team and set some basic parameters for how they would play. Each player had statistics in ‘passing’, ‘tackling’, ‘shooting’ etc. allowing you to choose the right one for the role you wanted them to play. At the same time it was also necessary to keep an eye on club finances, wheel and deal in the transfer market, sell advertising space and develop your ground. 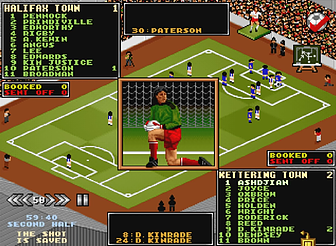 Games were ‘watched’ on a basic display which would provide a written commentary until the magic words: “he shoots” would cause you to hold your breath to see if it would be followed up by: “goal!! !” or: “saved”, “wide” etc. Matches could be watched at a variety of speeds, the fastest taking just a couple of minutes. 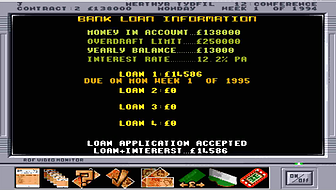 The game was fun, addictive and hugely time consuming. Most importantly, it was fair. Of course the odd freak result would occur (as in real life) but in general if you assembled the best squad (and that was easy to judge by way of a five star rating system for both individual players and teams as a whole) and you did the basics right, for example playing players in their preferred positions, you could normally expect to be relatively successful over the course of a season. Do well and you would be offered a job at a bigger club. Fail and you would be sacked and have to start afresh at a club from a lower league. As a game, it was well made, tight and thoroughly enjoyable and I played it a lot. 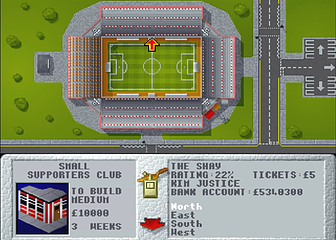 In late 1993 Premier Manager 2 was released with the addition of a few new whistles and bells but retaining exactly the same high quality of gameplay. 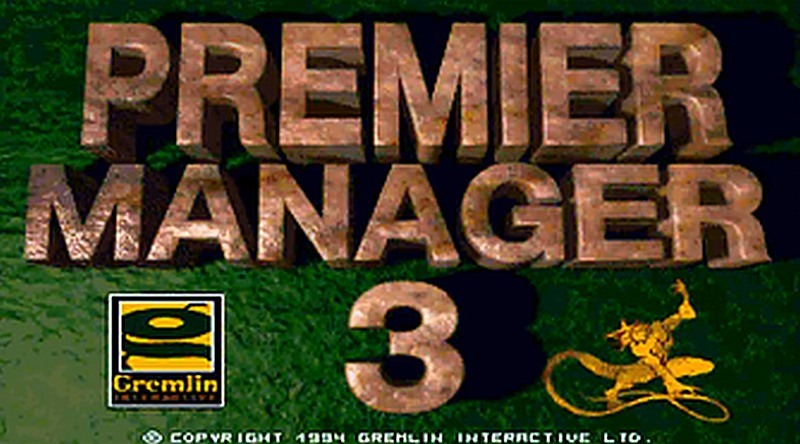 And then in December 1994 came Premier Manager 3 which, unfortunately, didn’t. Now that’s a very long introduction where I have hardly mentioned the game actually being reviewed, but it was necessary, as it was by making an unholy pig’s ear of one of the key elements that made first two games so good, that ultimately rendered the third instalment pretty much unplayable. At this point I could continue with a proper review. I could tell you about the improved tactics in PM3, the superior presentation and enhanced visuals with matches now being displayed on an isometric pitch, allowing you to pause at any time and make tactical changes. I could, but really there isn’t any point. Because for some reason the programmers saw fit to mess with the algorithm that decided the outcome of each match and suddenly results were being generated apparently completely at random. 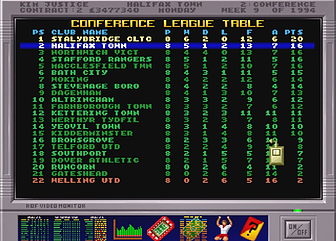 I appreciate that an unpredictable element should form part of the match result calculation, but it should be a given that if a weak team (let’s say Torquay United) played a strong team (for example Liverpool or Manchester United), while you knew a shock was possible, you would expect the game mechanics to ensure that the stronger team would win most of the time. This simply didn’t happen. Every result seemingly had no basis on team strength, formation or tactics. This was hugely frustrating if you had clocked up many hours on PM1 and 2 and considered yourself to be rather proficient, as I had and indeed did. In fact, it was so frustrating that I actually rang Gremlin Interactive at the time and spoke to one of the development team, pointing out the apparent failing in the game mechanics. They stated that they had deliberately altered things so you couldn’t sail through a season without changing tactics and this time it was important to scout future opponents and prepare your team to counter their strengths and exploit their weaknesses. Armed with this gem of information I tried again, following the advice and trying every variation in team setup I could think of. And nothing changed. After many, many hours desperately seeking the missing piece in the jigsaw of options I was finally forced to accept that the game was fundamentally flawed and I game up. You can have as many clever little tweaks and additions as you like, but the bottom line for a strategy game is that you absolutely have to feel that your actions are affecting things. And they weren’t. Not even slightly. This made the entire experience utterly pointless and unrewarding. So there you have it. If you want a fun, charming, challenging and satisfying football manager experience for the Amiga, then Premier Manager 1 and 2 are exceptionally well put together games that will eat great chunks of your life. However the third instalment is flawed so fundamentally that it is, unfortunately, a complete waste of time even attempting to play it and should be avoided accordingly.